Posted by Ubi Dubium in Rants, Responses. 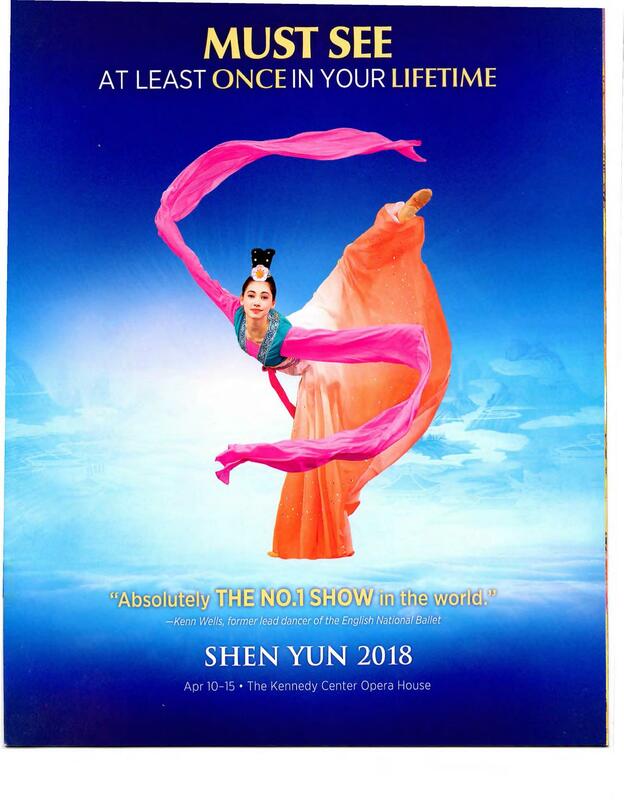 Well, a few days after I got the ultra-impressive, extremely professionally produced Shen Yun booklet, I got another flyer for a religious event. Full color, yes, but much thinner paper, and only four pages, so I’m going to post them all here for you. Oh my. 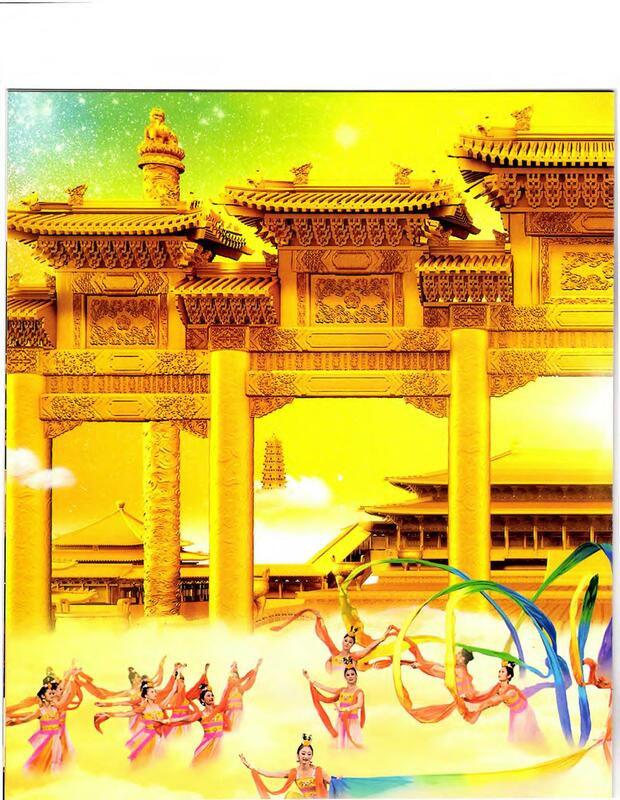 The Shen Yun flyer had really professional graphics, careful layouts, and even if it was advertising a cult recruitment event, it was at least lovely to look at. This one hurts my eyes. Look at the cover, they’ve plopped a bunch of random images down, and then put yellow and white text on top of an image that already has a lot of yellow in it. And I think there’s at least three different fonts. Ow. So let’s look at the content. 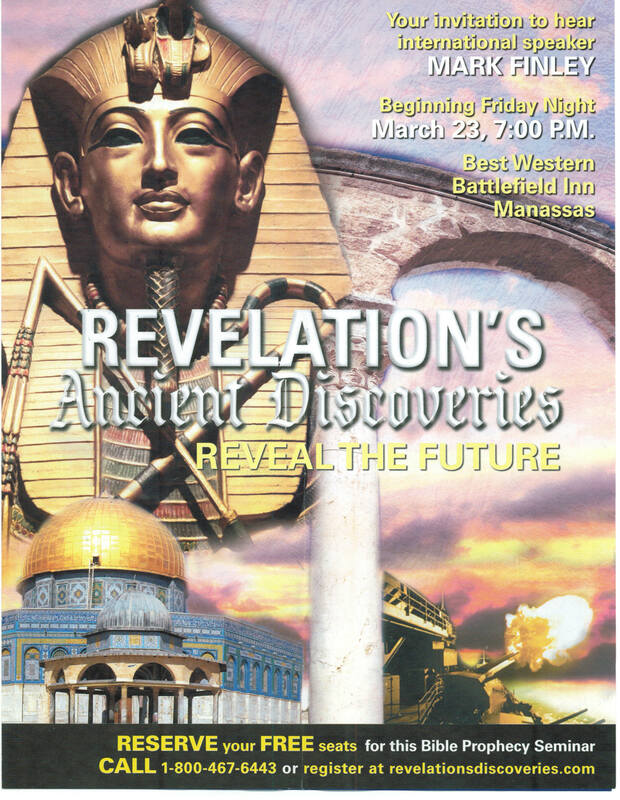 It’s inviting us to a series of lectures on “Revelation’s Ancient Discoveries”. 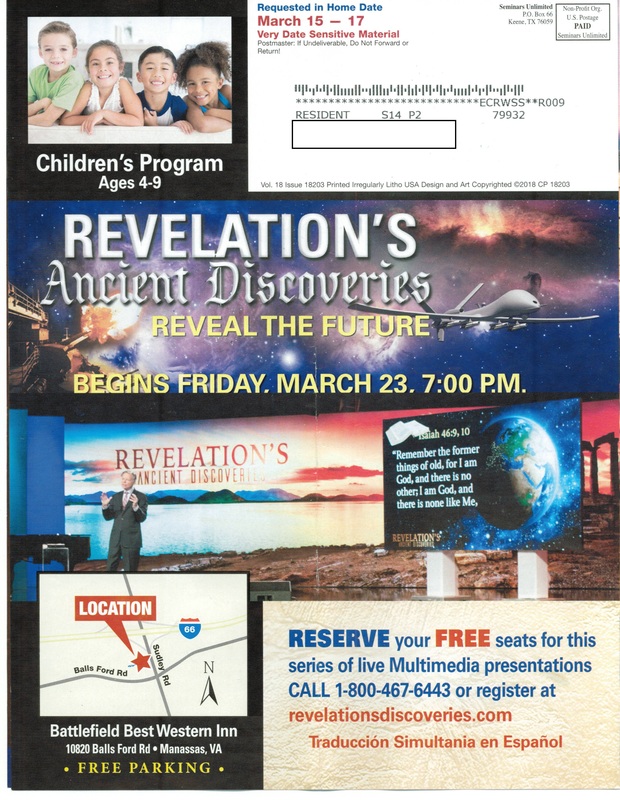 On the front it’s at least quite clear that this is a “Bible Prophecy Seminar” and it’s also clear that it’s free, so at least there’s that much up front. So who is presenting this? 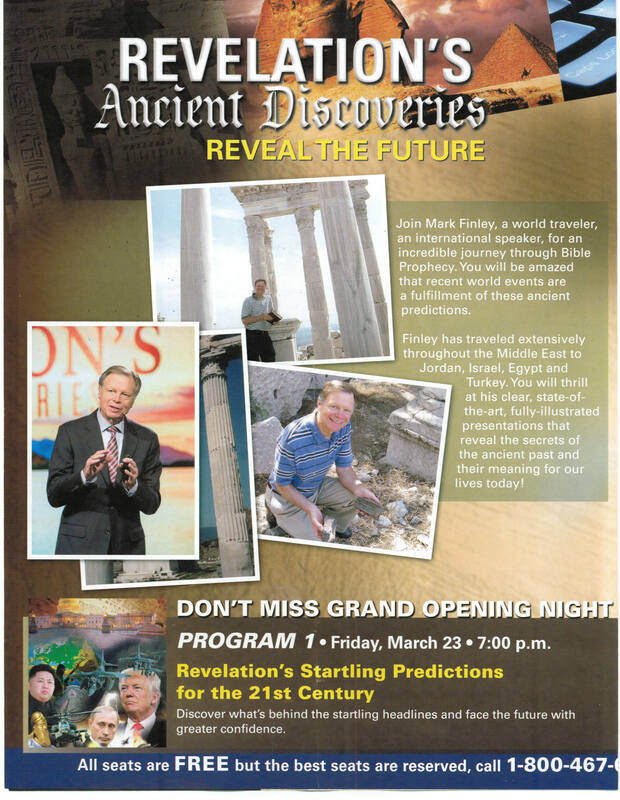 Join Mark Finley, a world traveler, an international speaker, for an incredible journey through Bible Prophecy. You will be amazed that recent world events are a fulfillment of these ancient predictions. Finley has traveled extensively throughout the Middle East to Jordan, Israel, Egypt and Turkey. You will thrill at his clear state-of-the-art, fully-illustrated presentations that reveal the secrets of the ancient past and their meaning for our lives today! So what organization is behind this? I had my suspicions, but first I thought I’d start with the information on the flyer. No religious denomination is listed anywhere on it. Ah, but there’s a website listed! revelationsdiscoveries(dot)com. Surely there’s more information there? No, just a single page with a link to reserve a seat, and no additional information at all. So off to Wikipedia, where there’s a page for Mark Finley, identifying him as a Seventh Day Adventist, and a televangelist. Which is exactly what I was expecting to find, and that’s entirely thanks to the “Oh, No, Ross and Carrie” podcast (their motto is “We show up so you don’t have to”). They recently did a hilarious multi-part series on the lectures called “Amazing Facts” and I’ve listened to all the podcast episodes. When this flyer arrived, my first thought was “Is this Amazing Facts?” because it’s so similar. It had the same sort of focus on “end times”, and having exactly the right understanding of Revelation, was also free, and also was very cagey about what the organization was behind it. Amazing Facts started with one set of lectures, but once those were completed, of course there were additional lectures for anyone who wanted the whole story. 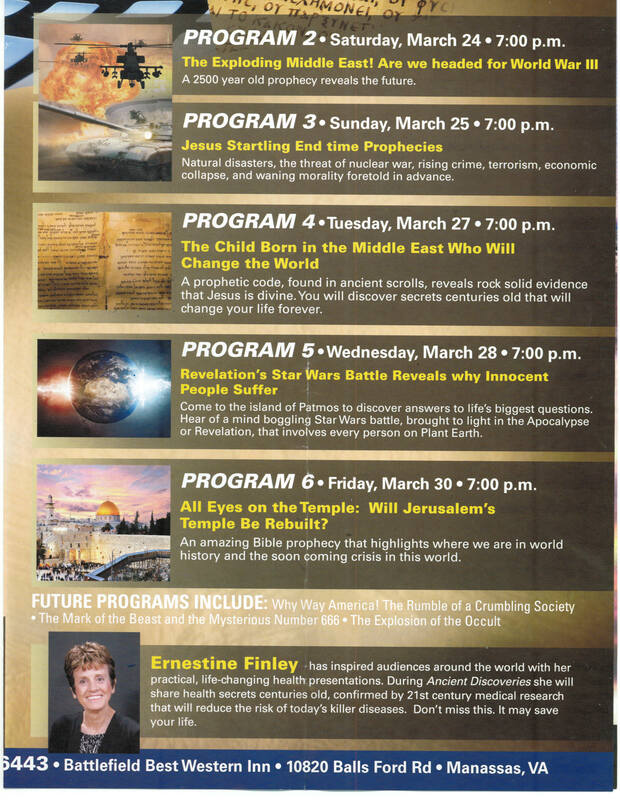 If you look at page 3 of this flyer, it lists six scheduled lectures, but then there is a section that says “Future programs include”, so that’s the same as well. So if you have any curiosity about what might be in a these lectures, go listen to the podcast series, because Ross and Carrie have already endured the pain of this for you. 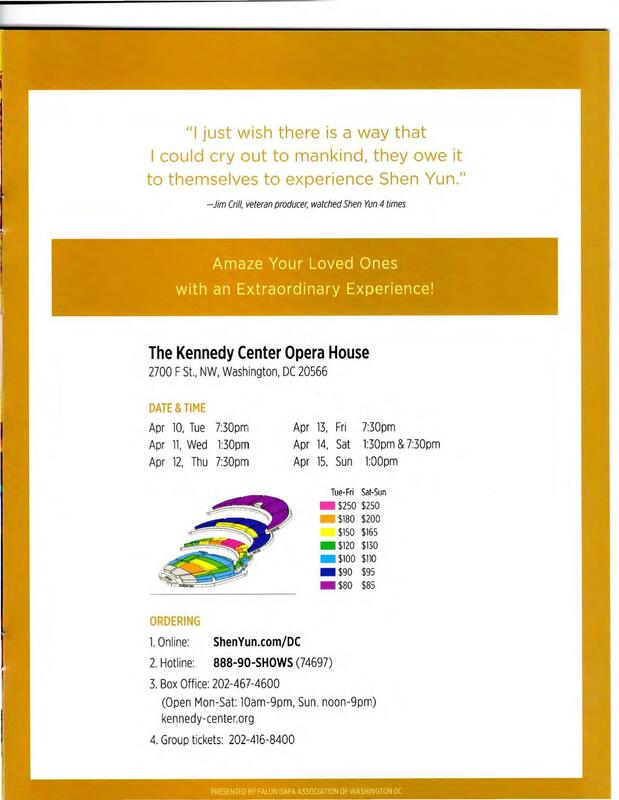 But, I will have to say, I don’t think this flyer is trying to trick me in the same way the Shen Yun one is. Once, when I was a kid, I went to a lecture series on Ancient Egyptian history, which was one of my hobbies back then. The first couple were really interesting, but then in the next one the speaker went off on a bunch of “end times prophecies” nonsense, and even though I was still Presbyterian at the time, I was massively disappointed. How worthwhile is your religion if you have to trick people into listening to you preach? I guess I had just run into my first instance of “lying for Jesus”. Mark Finley isn’t trying to trick anyone into listening to him blather about the bible, at least. Except – on the back, there’s a box labeled “Children’s Program Ages 4-9” with no further information about exactly what they will be telling the children. No. Just NO. Parents, even if you are interested in this series for yourselves, please DON’T subject your kids to it! Testimonial after testimonial after gushing review from random celebrities and officials. They are trying really hard, and have certainly sunk a lot of money into this ad campaign. So what’s up with this? Who are these people really? The answer was in the return address: Falun Dafa. Otherwise known as Falun Gong, a group that originates in China, but the Chinese Government considers it a cult and has outlawed it. So I went looking to see what regular people had actually said about this performance, to see if it was overtly a push for their religious cult or was actually a nice cultural event. When I first googled “Shen Yun” all that came up were ads for it and gushing articles raving about how wonderful it was. Likewise, a search on YouTube comes up with trailers and other videos that are either direct advertisements or full of glowing praise for them. So, in addition to the slick glossy brochures, this group has obviously put a lot of effort into doctoring their internet presence, and removing anything negative from the first few pages of search results. But then I tried looking specifically for Yelp reviews. Oh, boy, was that ever a different perspective! I found some reviews from people who liked it, but others were so disappointed that they had walked out of the show in the middle of it. They wrote that it was pretty, but not nearly as impressive as the advertising had let on, that many of the dances were overt pushes for their cult beliefs, that the singing performances were religious propaganda songs with lyrics like “The heresy of evolution now eclipses the Divine word.” It wasn’t a spectacular cultural event, it was mediocre evangelizing. Posted by Ubi Dubium in Humor, Rants, Responses. Over on ex-christian.net, there has recently been a commenter who seems very earnest, but less prepared than most to defend what he believes. He assures us that he knows god personally, and that he knows because he is “filled with the holy spirit”. But of course he is unable to demonstrate this in any way, and we’ve replied to him that we also had strong feelings back when we were religious, and that his personal feelings in no way establish the truth about his claims. He’s been asserting that all of the ex-christians were never True Christians™ because, of course, anybody who left christianity could never have been a real christian. He’s sure that nobody who has felt what he has felt would ever change their mind. Every Monday I listen to the previous Sunday’s broadcast of The Atheist Experience. And generally the show is a lot of fun, lots of promotion of critical thinking and jousting with theists. My favorite host is Tracie Harris, who just hits it out of the park, and it’s pretty satisfying when Matt Dillahunty hangs up on an annoying troll. But lately I have been getting frustrated when some apologist calls in with their favorite clever twist on some tired old apologetic, and they proceed to argue in endless circles, because they just have to “get the atheist to admit that they are right”. These calls tend to go on way too long and almost never accomplish anything. “Hey Mr. Apologist! Before you begin on whatever clever argument for god you are about to present, I need to ask you three background questions. So, for the time being, instead of discussing it right away, we’re going to put your apologetic in a box. 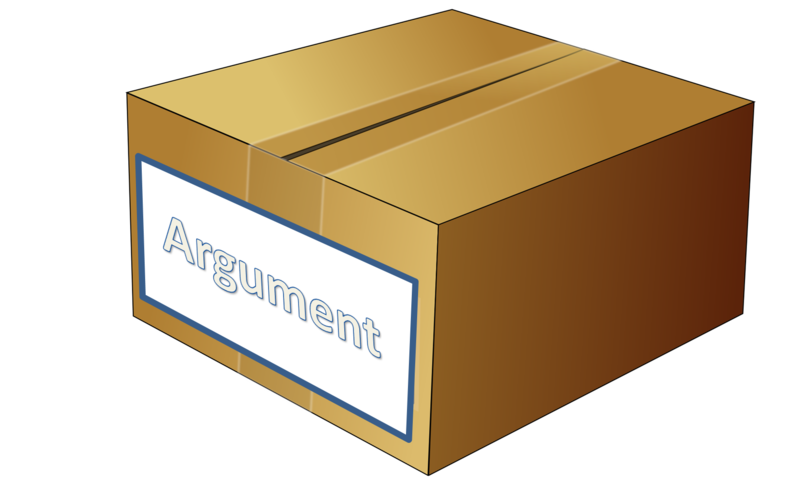 “OK, so let me review what we’ve learned about the argument in this box. It’s not what initially persuaded you to believe, because you didn’t have it at that time. It’s not what’s keeping you in your faith, because you would still be a believer even if you lost what’s in the box. “SO, what that tells me is that we don’t actually need to open this box at all! 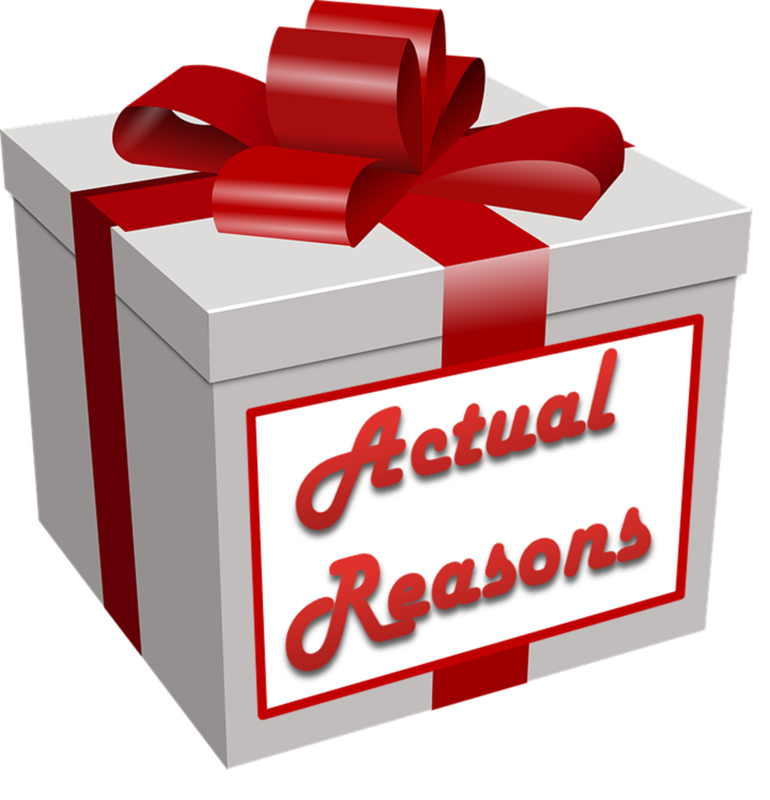 The question for callers is “Tell us what you believe and why.” And we have just established that the argument in this box is not really part of your “why“. So we can throw out this box unopened. It’s not relevant. “What we should be talking about are the real reasons that you believe. What initially persuaded you to start believing? What things are so central to your beliefs that you would have to rethink your entire belief system if they were discredited? I don’t know what’s in this box for you. Maybe it’s things like ‘trust in your teachers,’ ‘personal experience,’ ‘clerical authority,’ or ‘biblical infallibility.’ Maybe it’s something else. We won’t know until we start unpacking it.” Those are the interesting and useful discussions to have, not these circular apologetic word games. If I ever were in the position similar to the hosts on TAE, I think that I would have to label some real boxes to use as visual aids. Because, unless a caller says that their argument was specifically why they started believing, or that their faith would collapse without it, there’s no way that I would want to waste my energy listening to their endless philosophical wanking. I have better things to do, like watching paint dry. Posted by Ubi Dubium in Books, Humor, Responses. So, we’ve been through chapters of advice on manners and laundry and packing and cooking, and all kinds of things that missionaries need to do, but we have finally come to the loooong chapter about the primary activity that the missionaries are supposed to do: sell the product. Now, if you remember, right at the start the guidebook said it was not going address details of theology. So this chapter is about motivation and salesmanship. And as usual, there’s a mix of actual practical advice (like learn from people that have already been doing this, or be patient, or tolerant of a less motivated companion,) but also some really over-the-top instructions. So, right off the focus is work ethic, work makes you happy, don’t goof off. Relaxing too much will make you unhappy. What else does our author have to say about this work? This is sounding more and more like a creepy cult. Don’t show how you feel, smile all the time, forget your own life, obey authority, and everybody else is depending on your doing this. Yeesh. 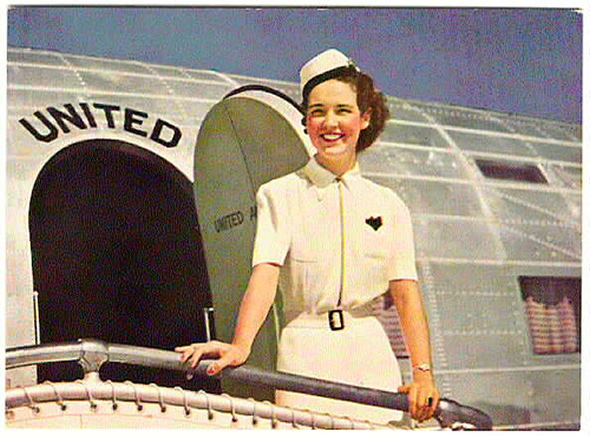 And you know how impossibly upbeat and smiley Mormon missionaries always are? So a missionary needs to relax, but at the same time he’s never supposed to totally relax. So knock on people’s doors, tell them their religion is completely wrong, tell them that they have to stop believing what they believe and start believing what you believe, but be humble! Right. Which is why you meet so many people who can fly. Living your real life, that’s what you’ve gained, instead of wasting it trying to sell dogma. Satan? This is the first mention I’ve heard of Satan in this book; I wasn’t aware that Mormons made a big deal out of the Satan thing. Because apparently there are some things that are just too difficult for an omnipotent god. Because even though you pray to god and ask him to tell you things, he’s not going to tell you anything that’s actually useful. That’s a good example about perspective, which I might apply to help with motivation in tasks that are a small part of a worthwhile endeavor. Unlike preaching. So these kids have been sent out to a faraway place where they are isolated from everything familiar, they are expected to spend grueling days on foot, out “spreading the word” for ten hours a day, six days a week, and they are expected to study constantly and shop and cook for themselves. I can’t imagine that they are anything but exhausted from this routine. So on top of this, they are expected to keep their quarters spotless and keep to a daily cleaning routine, because adding unrealistic expectations for cleanliness is just what these stressed-out kids need. So let’s have a few quotes! Yes, I guess waxing floors was a thing in 1968. (I don’t think I’ve ever waxed a floor!) But I don’t see that it would ever have been a good idea to make frustrated and exhausted teenagers wax floors. So the all-powerful god, who will never desert you (unless you aren’t believing hard enough, see part 1), is going to desert you if your bed isn’t made. How reassuring. These kids are being judged not just on how well they preach, or how much of their free time is spent studying their holy books, or how presentable they are on the job, but they are even having their rooms formally inspected. And no matter how well they are doing at their “proselyting”, if they can’t at least fake being a neat freak for two solid years they will be found wanting by their supervisors. Now I have this image of the landlady dropping in to the grocery store to catch up on the latest gossip. Oh, and she’s totally going to badmouth her missionary tenant, who is polite, helpful, well-groomed, and pays the rent on time, but is a totally bad person because he sometimes leaves towels on the floor. Shame, shame, shame! Oh dear, let me clutch my pearls, the mission president’s wife might find dust in my room! And once again, as in the chapter on homesickness, our author recommends housecleaning as a remedy for feeling depressed. 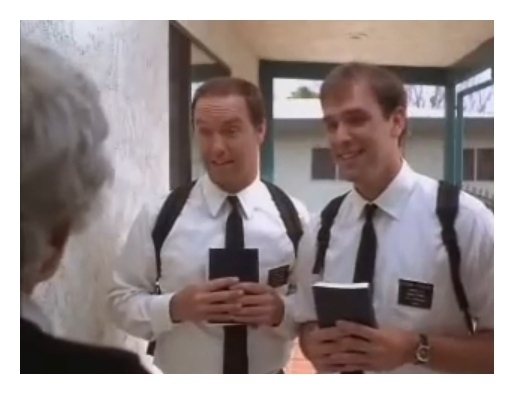 So they want missionaries living with non-Mormons so they can make a good impression on them. And they don’t want them staying with Mormons, because they might make a bad impression on them. But what’s evident here is that they don’t want these kids finding any source of support and comfort during their two years. The Mormon hierarchy wants these kids to be overworked, over-tired, uncomfortable, and worried about every little detail of everything. 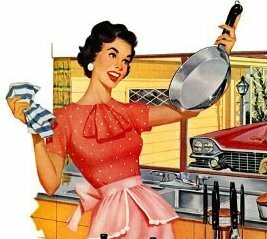 Your home isn’t a place to relax and retreat from the cares of the day, it’s a place where you are supposed to antagonize your landlady with preaching (the same landlady whose respect you are supposed to earn), and you must keep it antiseptically clean, even if that’s not what you are used to or comfortable with. Now smile and pretend to be happy! Continuing series on the 1968 guidebook for prospective Mormon missionaries. So these missionaries are sent out for two years to be door-to-door salesmen for a bad product that nobody needs. They are expected to do this six days a week, and the other day will be mostly consumed with getting their chores and errands done. I’ve talked to some recent missionaries about how cut off they are from their families and previous lives during this time. I found out that the rules they work under restrict them from almost all contact with the folks back home, and what contact they have is very carefully monitored. No email, and no internet. No phone calls to friends or family. No TV, no radio, no movies, no unapproved magazines, no unapproved music. Calls home might be permitted on christmas and mother’s day, but no other times. And essentially no unapproved having fun. The hazing that these kids are going through to gain future status in their church is being made ridiculously hard with these restrictions. As far as I can tell, the missionary rules are structured to deliberately separate these kids from all they love. 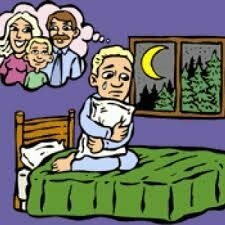 Should anybody be surprised that a lot of them suffer from terrible homesickness? So let’s see what this book has to say about it. That’s cute, but it sounds more like a song than like an actual case of homesickness. But what advice does she have to help with this? It’s your fault, so beat yourself up, feel guilty, indoctrinate yourself more, that’s the answer. I know where my mind just went, but our 1968 guidebook doesn’t acknowledge the possibility that the companions might be comforting each other in unapproved ways. 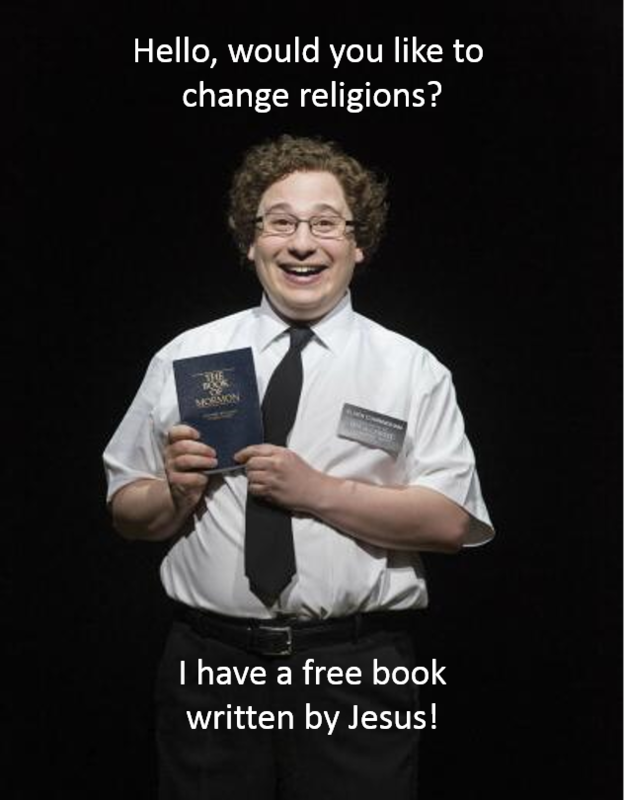 Remember the video “Turn it off!” from Book of Mormon that I posted few chapters back? I had thought that they were exaggerating when they said “don’t feel those feelings”. Sounds like they’re not exaggerating so much after all. Because when you’re feeling lonely and depressed, low blood sugar is just the thing to make you feel better? Seriously? Yup, I’m sure that’ll do it! Next time a couple of missionaries knock on my door, maybe I’ll ask them if they are lonely and would like to cheer themselves up by cleaning out my refrigerator! It would sure help my morale, but I don’t really think that it would help theirs. Unless they actually enjoy cleaning, which coincidentally will be the topic of our next chapter. Like the previous chapter, this surprised me with the amount of good advice it contained. Sure a lot of it was information about specific luggage weight allowances for different countries that’s now outdated, but a lot of it is helpful information for young people taking a flight or a train for the first time. What to expect at the airport, how to deal with motion sickness, how to tip properly, how to pack your bicycle, remember keep your tickets handy, all very practical stuff. And, of course, strict rules for polite behavior, because the missionaries are supposed to be perfect role models, not just normal teenagers. Courtesy toes? Are these kindergarteners she’s talking to, or young adults? Sheesh. But no relaxation for the young missionaries during their flight, nosirreebob! Great, if there’s anything worse than a preachy dining table companion on a train, it’s a preachy seatmate on an airplane. Next up, what to do about homesickness. This oughtta be good! This chapter was pretty long and rather of a surprise. Most of it was actual good solid advice about how to pack for a long trip. It talked about which kinds of fabric were better for what kinds of weather, and for laundering, and what things will be useful to bring and what to leave behind. It discussed the possible reasons to buy everything ahead, and when it might be better to shop after arriving. 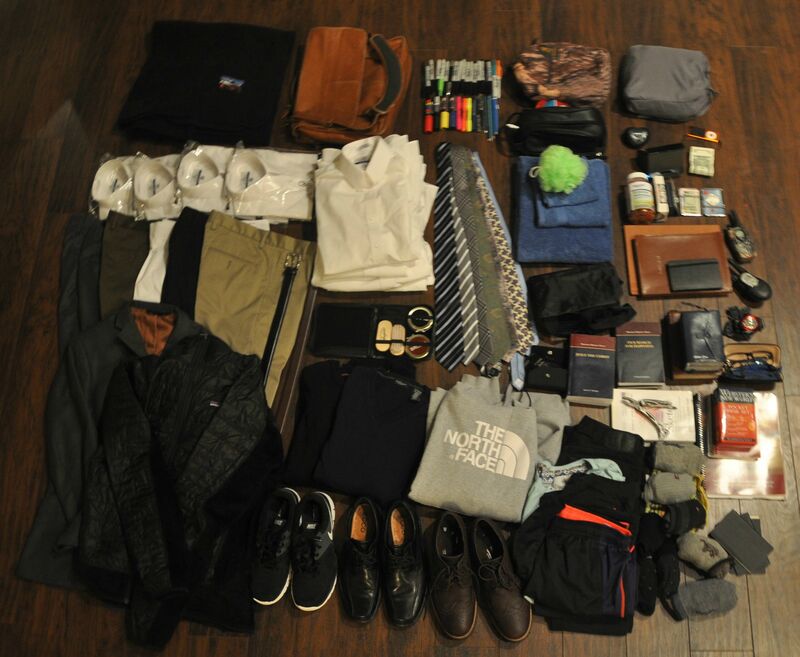 It reminded me of a college packing list, except for the rules on how conservative and boring the clothes needed to be. It even had good advice on what kind of luggage would work best, and how to deal with customs inspections. Apparently the boys were expected to wear suits, and the girls modest dresses with nylons, except on their one day off a week. Absolutely no socks in “wild colors” for the boys, and no “flashy jewelry” for the girls. There was a note that the boys might be excused from wearing suit jackets in hotter climates. I guess they’ve either changed that rule, or I live in a “hotter climate” because I’ve never seen any of the missionary pairs in anything but a white shirt and tie, never a full suit. Not “makes you interesting”, it “makes you important”. What a patronizing attitude towards the people they are sending these kids out to preach at. Wait what? I had to go back and read that again. I knew about magic underwear and abstaining from caffeine, but no button-fly pants? I had to go look this up. Turns out that it was attributed to Brigham Young that he once called the newfangled button-fly jeans of his time “fornication pants”! I wonder if they still have this rule. A reminder of how outdated this book is can be found in the section on hats. If a missionary brings a hat along, it should be a men’s business hat, not a “collegiate-looking porkpie hat”. Porkpie? Nobody in the 1960’s was wearing those. Somehow this is exactly what I was expecting her to look like. (How did she get her hair to be that tall?) Her birth year makes her about 49 at the publication of this book. 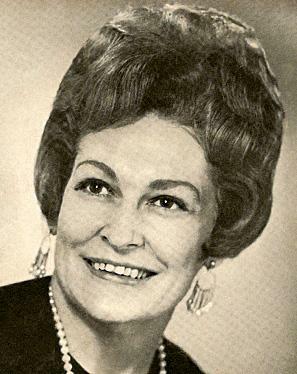 I found her obituary, and her bio paints her as the perfect Mormon wife, raising kids, serving on charity boards and teaching etiquette to children. Reading this book feels more like she was writing about the era of her own teenage years than trying to connect to the time these kids were living in. Posted by Ubi Dubium in Events, Rants, Responses. One more of these before the Rally. 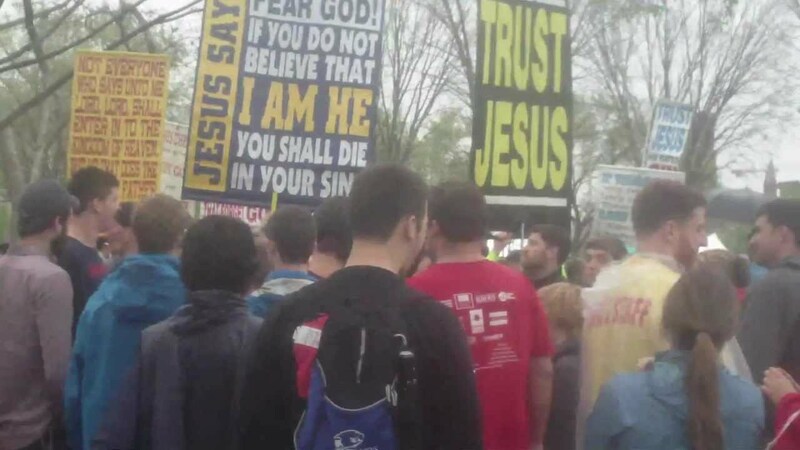 Again, as a reminder, these are some of the things that I would be saying to Ray Comfort’s specially trained group of 1,000 evangelists, who were going to descend on the Reason Rally en masse until they found out they needed a permit and would have to demonstrate at the other end of the Mall. “OK, Mr. Preacher. I think I’ve made it clear that all the stuff you have carefully learned from Ray on what to say to atheists is going to accomplish exactly nothing as far as converting anybody. Any of you who have tried this kind of the thing on us in the past should be well aware that it will not be producing the promised results. “So the question is: Why do you guys do stuff like this? “Now I can’t claim to read minds, or know your beliefs better than you do. But I have some hypotheses about what is actually going on that I’m going to suggest. If any of the preachers who were actually going to go to Ray’s event want to comment here on these ideas I’d be happy to discuss them. “An obvious answer is that their bible tells them to go “preach the gospel.” But there are certainly easier audiences out there, ones that will give more “bang for the buck” as it were. Even a college campus is more receptive than a crowd of thousands of atheists, and there’s a better chance of actually making converts. I know people like a challenge, that’s why they do crazy difficult things like climb Everest. But do you throw yourself at Everest if you know there’s zero chance of success? So that can’t be all there is to it. “Another thing that I see is that True Christians™ always seem to want to be seen to be accumulating “cosmic brownie points” with their god (or “treasures in heaven” if you want a nicer term). Every opportunity for a public display of piety, or to throw a bible verse into an email, or to preach at somebody is a chance for a shout out of “Hey god, look how devoted to you I am!” I rarely see that kind of thing from mainstream christians, they usually take the bible verses about not showing off their piety in public more seriously (see Matt 6:5). It usually seems to be those of the fundigelical variety who are intent on making as big a public display as possible. “But I think that even more than displaying their devotion for god, I think in many cases they are displaying their loyalty to each other. I’ve talked about the idea of “honest hard-to-fake expensive symbols of commitment” before. (And I still am looking for a better name for this idea, if anybody has one.) This is the thing you do that is difficult, or time-consuming, or expensive, or personally embarrassing, or all of those, and is also completely pointless. You would never do it except for the purpose of getting another group or individual to accept you as sincere. Among the many things that would fall in this category are Mormon missions, gang tattoos, big diamond engagement rings, fraternity hazings, and tithing. The bigger the gesture you make, the more you are telling your group that you are a devoted member. And for a group where preaching is a show of loyalty, what bigger gesture can you make than to spend money to travel to another city, and preach in front of a guaranteed hostile audience? I think going off to DC to do this is a sure way to gain status and trust from the congregation back home. “I’m thinking there may also be an element of territorial marking involved as well. The atheists are meeting on the National Mall, in public, specifically to challenge christian dominance of politics and government in the country. If the christians just allowed that to happen without getting involved, it would be a big event that was all about the heathens, and not about them. Perhaps they felt a need to take ownership and put their mark all over the event as much as possible, to reclaim this piece of the public attention “turf” for themselves. Being relegated to the other end of the Mall just would not accomplish this goal at all. “Those are my ideas so far. It’s possible I’m completely wrong (which is something you never hear an evangelist say). Thus endeth the Third Epistle. That’s all for now. If I have any interesting encounters at the Rally, perhaps I will have a follow-up.